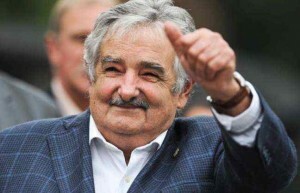 President José Mujica of Uruguay revealed on Friday (March 21) that, in exchange for granting shelter to detainees from the U.S. Navy base at Guantánamo, Cuba, he has asked the Obama administration to release the three Cuban intelligence agents who have been in U.S. prisons since their arrest in 1998 and conviction in 2001. The men are Gerardo Hernández, Antonio Guerrero, and Ramón Labañino. Two others, Fernando González and René González, served their terms, were released and returned to Cuba. Hernández is serving two life terms plus 15 years; Guerrero, 21 years 10 months, and Labañino, 30 years. According to the ANSA news agency, the first group of released detainees would consist of five Syrians and one Pakistani, who would be accepted by Uruguay as ordinary — not political — refugees.